Located in an area of outstanding beauty, yet close to Liverpool and Chester, 42 Caldy Road B&B in West Kirby is an ideal touring base for Wirral, North Wales and the North West. 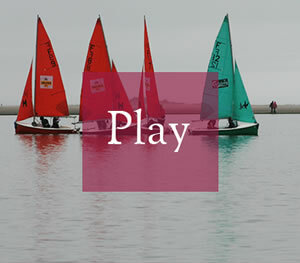 The perfect location for sailing on the marine lake, birdwatching, golf, walking and all leisure & cultural activities & close to Hoylake - Open Golf Championship venue 2014. Although known as the leisure peninsular, Wirral is also the home of Port Sunlight Village & Lady Lever Art Gallery, & with our excellent transport links, the ideal location for a day trip to Liverpool, on a 'ferry cross the mersey' - to enjoy the maritime & cultural heritage & the 'home' of the Beatles. The Victorian seaside town of West Kirby is just a short walk away, & has numerous boutique style shops, restaurants, trendy bars & quaint tea shops & cafes. It also offers a direct train link to Liverpool & beyond. Hoylake is also close by, and we are convenient for all local golf courses, Heswall, Caldy, Wallasey & Royal Liverpool GC. We are conveniently located 20 mins. drive from the center of Liverpool and 30 mins. from the Roman walled city of Chester. From M53 Liverpool or Chester, take junction 3 (A552) and follow signs for Upton and Arrowe Park Hospital. At traffic lights take A551. At hospital traffic lights, go straight on and at the next traffic lights, turn left into Arrowe Brook Road (B5140) heading towards Greasby. Go past playing fields on your left and take next road on left (Arrowe Brooke Lane). Continue until roundabout at Irby Mill pub. Go straight on until you reach the Farmers Arms in Frankby. Turn left into Montgomery Hill. At next roundabout go straight across the A540 into Caldy Road. We are situated about 1 mile on the left hand side past Caldy Church.